Let’s have a look at the winners of the 2011 Michelin edition that will be published in a few days; the names have been released today. There is “Passage 53”. A tiny restaurant in the passage des Panoramas that opened in 2009. After just one year, owner Guillaume Guedj already celebrated the first star. Now the second falls on the small shoulders of his young Japanese chef Shinichi Sato, 32 years old. Of course, the local critics had praised him. But it’s still a surprise. Mr. Sato, who learned at famous “L’Astrance”, serves an amazing Franco-Nippon version of haute cuisine using only the best products. The star of all greengrocers, Joël Thiébault, delivers vegetables. Meat comes from Hugo Desnoyer. His style including veal-and-oyster tartar, fish carpaccios and various other mostly raw or barely-cooked specialties slightly remeniscent of the French-Chinese venture celebrated at the "Yam't’cha" by Adeline Grattard (one Michelin star) – but I admit, that this is all second hand information and a bit of imagination: I have tried so often to get a table, but the waiting list is long and will be even longer now. Anyhow, my favourite French food critic, François Simon, called Sato “the revelation of the year”. Another two-star-surprise? Yes, Jean-François Piège. A few years ago and like a of a lot of his colleagues, he abandoned his two-star-kitchen in the Crillon to follow the neo-bistro movement and opened the restyled brasserie “Le Thoumieux”. Upstairs, together with his associate, Thierry Costes, he created an even smarter place, simply called “Jean-François Piège” to show once more that brasserie cooking is not always simple. 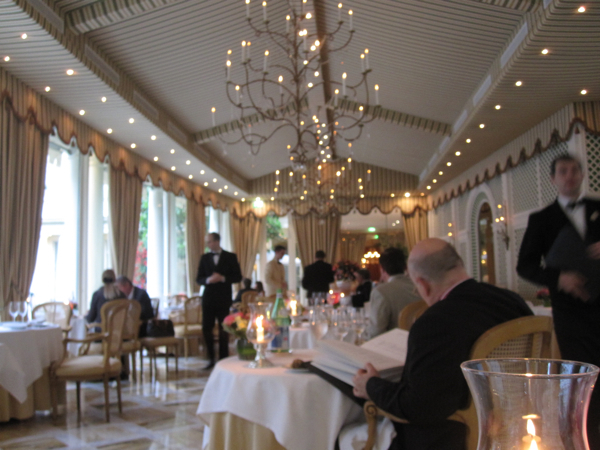 Opened in November 2010 and immediately awarded with two Michelin stars. This was a very quick one. 28 stars just for one man? Everyone likes Joël Robuchon: He barely had the time to open the doors of his new venue, his second "Atelier" (read more about his first "Atelier" here) on the Champs-Élysées a couple of weeks ago, and he was already awarded two stars. That makes 28 altogether for one chef, a bewildering amount, the most of any chef in the world. 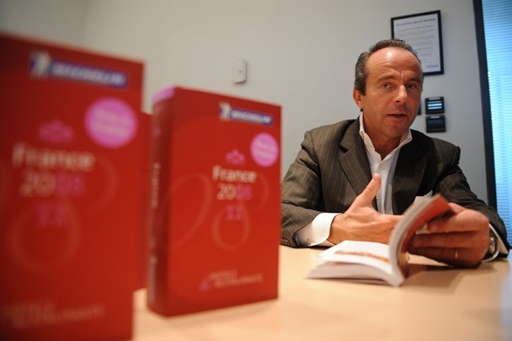 Michelin, after harsh criticism and with a new Editor in chief, German Juliane Caspar, has changed its policy. It’s less about hype, more about regaining its aura of incorruptibility and independence.